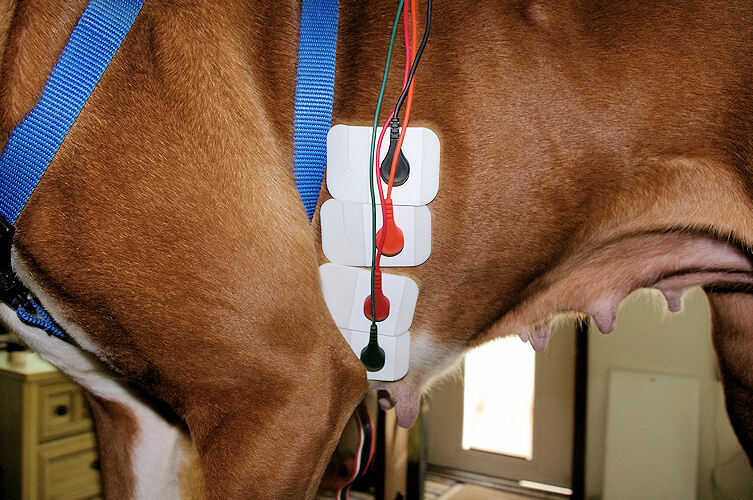 Hooking up a Boxer to a holter monitor -- a 24-hour ambulatory EKG -- has three main goals: One, record the dog's heartbeat for 24 hours; two, keep the electrodes attached to the dog's body for the entire 24 hours; and three, keep the dog from eating the wires that run from the electrodes to the monitor. To achieve these goals, proper hook-up of the holter monitor is essential. 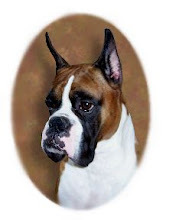 Boxer breeders who are concerned about producing long-lived, healthy puppies engage in health testing, which includes, among other things, holter monitoring. A holter monitor is a 24-hour ambulatory EKG, meaning the dog wears the monitor for 24 hours while it goes about its normal daily routine -- usually. 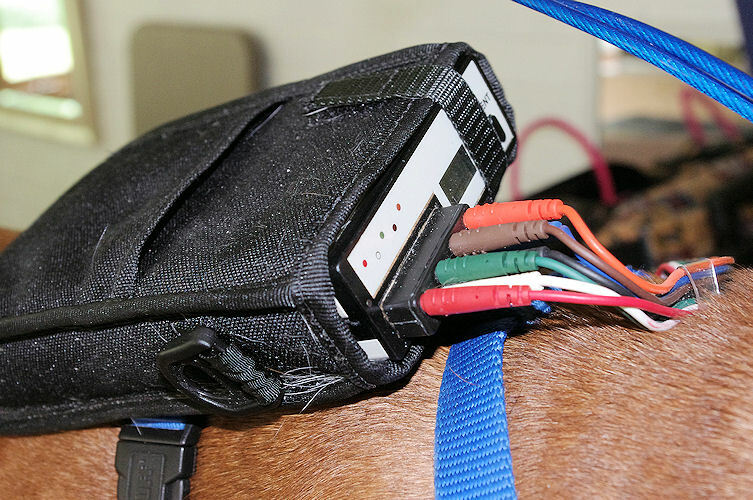 (Some dogs dislike the holter and won't do things like walk, potty, play, etc., but most, especially after the first time they wear it, adapt quickly and act normally.) Holtering detects abnormal heartbeats, called VPCs (ventricular premature contractions) associated with Arrhythmogenic Right Ventricular Cardiomyopathy, or ARVC, a leading health issue in Boxers today.